Our Touchdown Teddy Bears are exclusive to My Touchdown Box! 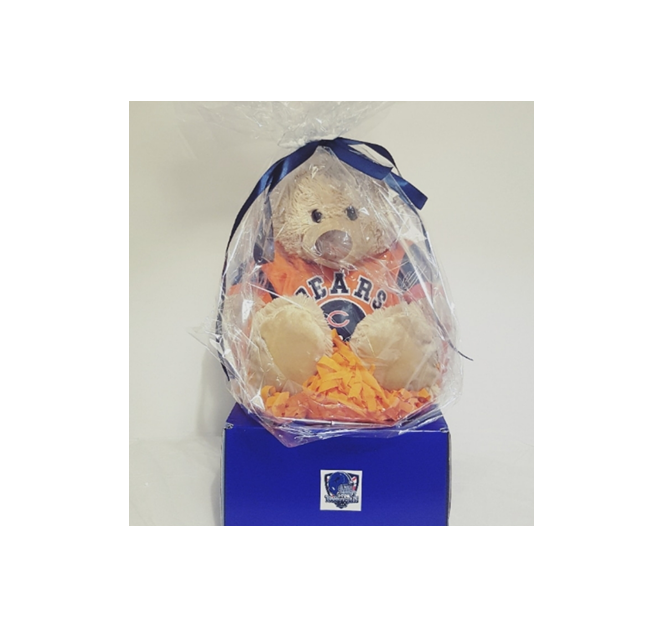 Each of our 32 Bears come presented in our premium iridescent gift wrap and filling, before being neatly packaged into one of our premium boxes. These bears are ideal for Christmas and Birthday gifts. Just select the team of your choice and leave the rest to us. Please note the display photo (Chicago Teddy) will not change in accordance to the team you select as our site does not currently support this option. Rest assured that your team Bear will arrive as photographed, and will only differ in outfit and color scheme depending on the team you have selected. To include a gift message, tick the 'This is a gift' option and add your personalised message.